A new ICCID spoofing bug can factory unlock any Apple smartphone with a simple trick. Here’s how you can unlock your iPhone model with a Turbo SIM. Which iPhone models are factory-unlockable? When will Apple patch this bug? A new SAM-style activation bug allows you to factory unlock any iPhone model with a third-party SIM. Egyptian Twitter user “iCloudlocate” was the first to discover this method. This bug relies on a special SIM card called Turbo SIM. All you need to do is insert the Turbo SIM and change its ICCID or SIM number to “89014104277806043133” and your iPhone will get factory-unlocked. For the uninitiated, unlocking is useful if you have a bad ESN device, a smartphone that is blacklisted and can’t be activated. Furthermore, unlocking and bypassing the activation lock is essential if you purchased a carrier-locked iPhone. As of right now, users have successfully bypassed the activation screen and unlocked the following models. But before you jump on the unlock bandwagon, ensure that you have the necessary supplies in store. Update (August 21) – A working number added below. Update (August 20) – No ICCID number is working as of right now. 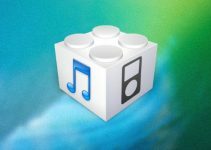 Update (August 2) – Apple can’t patch this unlock bug, they can only patch the SIM number. We will keep this page updated with the latest working ICCID. Purchase an RSIM 12 from eBay or Amazon. Sellers on eBay are comparatively cheaper than those on Amazon so we recommend going for eBay. Alternatively, you can purchase any other interposer SIM card like Turbo, Gevey, or GPP. Ensure the SIM card you purchase lets you change the ICCID or SIM number. Once you get your hands on the SIM card, insert RSIM 12 with your SIM card to the SIM tray. If you are having trouble inserting RSIM, watch this video. Tap Dismiss and press the home button once. Use the emergency call option and dial *5005*7672*99#. Tap Edit ECID and type in 89014104279202589925. Insert your SIM card again. That’s pretty much it! Your smartphone is factory unlocked and you can insert any carrier SIM without activation locks. Remember, a hard reset and a clean restore will remove the unlock. The unlock will remain functional if you update your phone via OTA or iTunes. Do not hard reset your iPhone or perform a full restore with iTunes unless you want to remove the unlock. As you already know, Apple doesn’t take kindly to leaks and bypasses. Since this bug is available publicly, Apple will roll out a patch within a few hours from now. If you have a bad ESN Apple smartphone, go ahead and unlock it before Apple closes this loophole. Were you able to successfully unlock your device? If yes, leave your comments below. 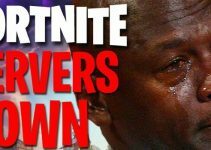 Fortnite Servers Down – When will the game get back online? Not working at all now ????? Apple has patched the unlock bug. Read this article. iPhone carrier locked, could be unlocked without a R-SIM ? I have updated the post with the latest working ICCID number. Yeah, sure. Please check the latest code above. Try the new code. I have updated it. how can I unlock my iphone 4 7.1.2 ee ? You can try using the tutorial above but I can’t guarantee that it will work on iOS 7. Does this method also unlock eSIM? Because my phone refuses to register eSIM via the QR code. No, it doesn’t unlock an eSIM. I have a iPhone 8 that I deleted all of the previous information already. I am trying to set it up as a new phone but the rsim 13 with the updated ICCID code from the website is not working. It requires me to select a carrier and says unable to activate. Try the new ICCID number. Sorry, I haven’t tried any iCloud unlock service and most of these online services are just scams. I have an iphone XR and I received yesterday my unlock sim card. Do you have any solution? I am really stuck since yesterday. I have updated the new ICCID number. Please try it. No, you can’t update without losing your unlock. Hi. I have an iPhone SE fully functional with a rsim 11+ the rsim has never been removed from the device but I kinda want to update from iOs11 (latest version) to iOs 12. Do I have to buy a rsim 12 or will it stay working if I keep the rsim 11+ on it? Try using another Turbo SIM. I tried this and it says No Service, I manage to bypass the Sim not supported but it says No Service. Please Help. I used the ICCID from above and also 8901 4104 2792 0259 5559 but it isn’t working. Hello, Meet. I have updated the ICCID number. Please try again. Which iOS version are you running by the way? Is the 5559 still the code? I’ve tried many different phones with rsim 12 and 13 and nothing. And I using the 13 wrong? Is this the latest one up until now? The latest ICCID number is updated. So did iOS 12 take away where we could reset our phones as long as it wasn’t through iTunes? I remember on 11 they would stay unlocked if you reset all content And settings. Honestly, I have no idea whether or not this method works on iOS 12. I currently own an iPhone 7 plus on iOS 11. Does it work on iOs 10.3 ? Yes, you can give it a try. I tried only on iOS 11. I spent so much time last night on so many different sites trying to get my phone unlocked. I had given up hope, I came across this website this morning and just like that my phone was unlocked. Thank you!! Thank you!! Thank you!!! Welcome, JP. Glad you got it unlocked. I have the r-sim 12 supreme auto 4g unlock v9.64. I’ve tried 10 of them and the menu pops up and lets me edit but won’t unlock. Anyone know what’s going on by chance? Which iOS firmware are you using, Rick? Many users have reported that this bug is not working on iOS 12. Does it unlock dual sim feature on the XS. I mean digital sim also ? No, that feature is firmware dependent. 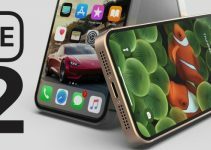 You will need to upgrade to iOS 12.1 if you want to use eSIM functionality. I reset the phone and now I cant put the codes again. Do you know what can the problem be. Which firmware are you running, Santiago? Also, did you update your device? I would suggest using the new ICCID code given above. Does Anyone have the new iccid by chance? Hate scrolling through other sites and putting in 10 wrong ones lol. This once has the right one 90% of the time. Yes, I have updated the latest one. is this method also applicable for j-sik v11.4? You mean iOS 11.4? If so, yes, you can use it with that firmware. hello ser! I have a iphone se with ios 12.1. metod is working? You can always try, though. One of our readers tried it and said it failed. Try the new code given above. The code is working as of right now. A user recently tested it with iOS 12 and apparently Apple has patched this bug on that firmware. Hello, quick question have you ever updated an iPhone from one version to another & it has worked perfectly fine ? Yes, but only via OTA. So when updating I should leave the turbo sim in or take it out ? You have to take it out. I’m using iphone 5s. My device is locked and I use my sim on jv/gevey. The iOS version is 11.4.1. My jv is outdated, it use to work fine on ios 10 but now only my sim works on it, does that method still works? Hello, Salman. Yes, this method is still working. I think apple has patched this. I have an iphone XS v 12.0.1 and now with the activation page after you insert sim, there is no emergency dialler option and simply states sim card not supported. Also edit ICCID option is gone. If I use *5005*7672*99# on my actual xfinity sim , i get setting succeeded , No service center address. Thanks for confirming. Sorry, downgrades are no longer possible on iOS 12 anymore. So I already have a turbo sim card, but it was done in a store. I’ve seen videos on how to do it myself just in case I needed to. However, my phone is starting to move slow especially with IOS 12 being out, but the man in the store said I won’t be able to update my phone anymore, is this true? am i stuck with IOS 11 forever ? Or can I update my phone and everything is fine? No, you can update your phone just fine. Just don’t clean restore via iTunes. Which version of iOS 12 are you currently running? Hi, I got my phone factory unlocked in a store with a chip, but when I got it done it was ios 11. Now with ios 12 being out my phone wants to update, however the guy in the store said I can’t update my phone or it will mess up, is this true ? or can I update my phone? Yes, you can update just fine as long as you use OTA> I would still recommend confirming this with your repair guy since I haven’t personally tried using this loophole on iOS 12 and above. okay but you have updated an iphone via ota while the turbo sim was in before and it worked fine ? So have you updated a turbo sim iPhone via OTA before and it’s worked perfectly fine ? Hello, Mike. I have updated the code. Does the part about removing the SIM card still apply? Whenever I do it on an iPhone X, it immediately goes back to the “Activate” screen and states that the SIM is not valid. Yes, you have to remove the interposer card. I recommend trying with a new one. Yes, it works for all phones. Welcome, Rick. Glad it worked for you! Is that you guys charging for the new code? GSMBRANDS? The 7803 stopped working for me. No, we are not charging anything for the code. I have updated the code above. Hello, Rick. I update it every 24 hours. I have updated that code. i just get the options of list of carriers but no EDIT iccid option. any idea what should i do? Can you please upload a pic of the screen? it seems too late now but , can I try it today ? Yes, you can try it now. Work for me, questions, is apple patch the ICCID number, all phone unlocked with this ICCID lock again or remain unlocked? No, Apple can’t patch this bug. 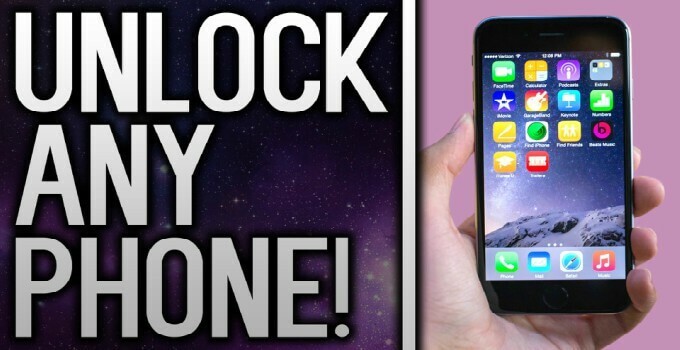 Yes, all phones unlocked with this trick will remain unlocked. Which SIM card are you using? Try the new number posted above. Used a verizon sim.it did not accept the sim.phone from philippines. R sim 12 then sim card.it says no sim.what to do?is tbe r sim broken? Yes, the SIM may be causing issues. Try inserting another Turbo SIM if possible. hello, One question if I update my unlocked phone using the turbo sim. Can I update my phone OTA for the latest IOS 12? need help. im scared because I don’t know if this would bring it back to zero again. Yes, you can. This bug if fully functional on the latest version of iOS 12. I tried it many times but no luck! please help! Try the new ICCID number given above. Thank you so much! It works fine for me.. This iccid factory working bug works perfectly,i have successfully unlocked over ten iPhones even iphone 4s. Updated. Check the number above. Hi I was able to successfully unlock my phone. Can I update to iOS 12 when it comes out? Will it affect my unlock? Yes, you can update safely as far as I know. If by chance it doesn’t work, you can still use this bug again. Hi, I can access the home screen even without the rsim but still no service. Did you use the latest ICCID number? Go to data and uncheck automatic carrier. Then wait for it to search for available carriers and select yours. I think 89014104278656914506 Is blocked now. Any chance you have a new one? Sorry, didn’t think my first comment went through. Apple has blocked all ICCIDs. That means that this bug is over? It seems like Apple may have blocked it. I am unable to find a new ICCID at the moment. If I get my hands on a new one, I will update the article for sure. Tank you very very much, sir! Welcome, Alex. I will keep you posted. You’ve told us that apple can’t patch the bug and it can only patch the ICCID number. So what’s up ? The problem is no one is sharing a working ICCID on the internet. I have updated the article with a working number. Try using that. How and where can I search iccids? hey i have unlocked my iphone 5 just right now tnx dude more power! Welcome, sir. Yes, it will remain unlocked even after you remove the turbo sim. Can anyone Please try and confirm, if this method is Working with the ” Activation Server Cannot be Reached ” Phones?? (Refurbished phones cannot be activated). So this method bypass that problem? I do not have a Turbo sim to try, So if anyone here confirm please if this working in those phones. Thanks in advance. No, you can’t use this method without a Turbo SIM. I would love to try this method! Sounds great! I’ll post an update here. Sure, Jay. Let me know how it goes. I did all the steps , it’s working but I need to keep the rsim inside , when I remove it and put back the simcard without the rsim it went to activation screen again. DId apple patch this ? No, Apple hasn’t patched this bug. Did you use the latest SIM number? Yes, I’m using 8901-4104-2778-0604-3869 . Phone is working just fine with the RSIM inside but not when I remove the R SIM. Any ideas? Try inserting it another iPhone. Can you please give me the latest sim number ? The latest SIM number is already posted above. with a single RSIM 2 can I unlock several iphones? or does it have to be an RSIM 2 per team? No, this is a carrier unlock. have you already patched apple? No, Apple can’t patch this bug. No, they can’t patch this bug. They can only block the ICCID number. Hi! I did it but for some reason I can make calls but I cant send messages. What shoud I do? That’s weird. Try using this ICCID – 8901 4104 2778 0604 7589. If that doesn’t work, try contacting your carrier. Seems like the issue is device-specific. Try taking it to an Apple Store. Hey, i’m experiencing the exact same issue, you’re not alone, it must be a side-effect of using this unlock method. That’s weird. Only a few users are reporting this. No, you can use any Turbo SIM. No, your device will still be unlocked. Apple can only patch a particular ICCID number, not the bug. I have updated the new ICCID number above and you can easily unlock your iPhone with it. Hello please I would like to know do I still need to leave the chip inside the phone or can I remove it and can I also change to any SIM card of my choice ?? You can change the Turbo SIM to any SIM card of your choice once you unlock your iPhone. Try doing it again. If it still doesn’t work, Apple might have patched it. Can I do this steps with an GPP chip? Will this bypass the Activation Lock screen you get when reformatting an iPhone? YOU ARE WRONG IT WILL NOT. that’s iCloud. Oh, sorry for that comment. Yes, you are right Ethan, this bug can’t bypass iCloud. Once i added the iccid and accepted i restarted the phone…. tried it twise with reboot each time..
Can you post a screenshot here? what if I don’t update my phone, will i still be able to do this in the future? Yes, you will be able to use it so long as you don’t perform a clean restore. Awesome thanks! and once this has been done once, doesn’t have to be done again right? No, you don’t have to repeat the steps above. Just once is enough. so after doing this you don’t need to put the gpp chip on top of your original sim anymore? Yes, that’s correct. You can remove it after you activate your phone.